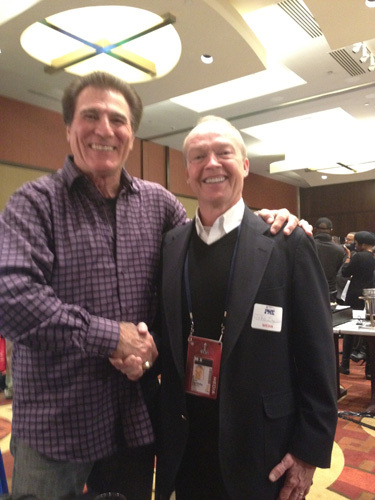 John Ingoldsby shakes hands with Vince Papale, the inspirational Philadelphia Eagles player who was portrayed by actor Mark Wahlberg in the Disney movie "Invincible." 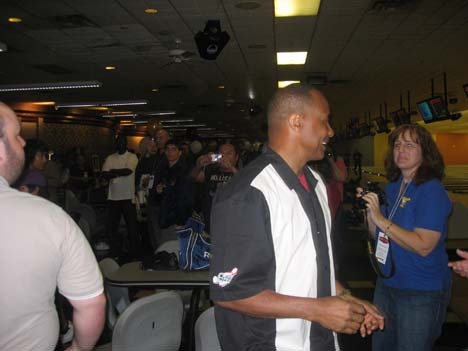 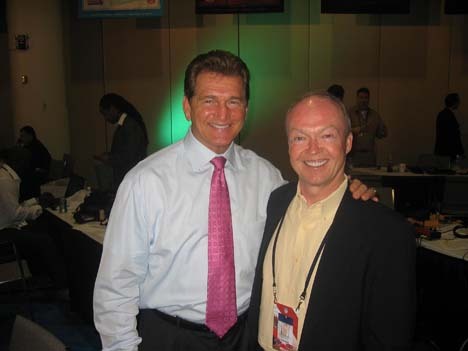 During Super Bowl Saturday in Indianapolis, John met Vince when he was a guest on VoiceAmerica Radio during the Player Networking Event, the day after John broadcast his weekly VoiceAmerica show"All Around Sports" from Radio Row in the Media Center. 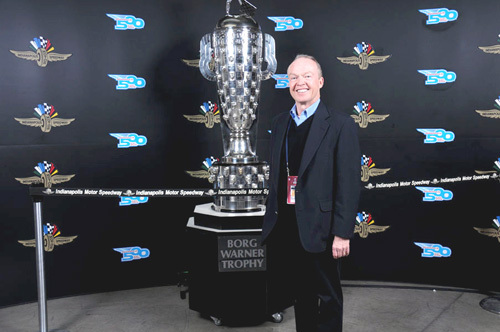 John Ingoldsby stands with the iconic Borg Warner trophy that is presented to the winner of the Indianapolis 500 Race during the NFL Media Party at the Indianapolis Motor Speedway during Super Bowl Week. 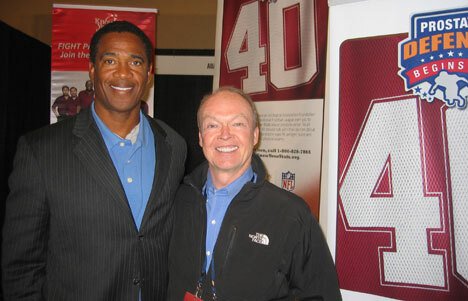 John Ingoldsby, right, talks on Radio Row during Super Bowl Week in Dallas with NFL Hall of Fame Cornerback Mike Haynes, who has been instrumental in facilitating John's coverage of the league. 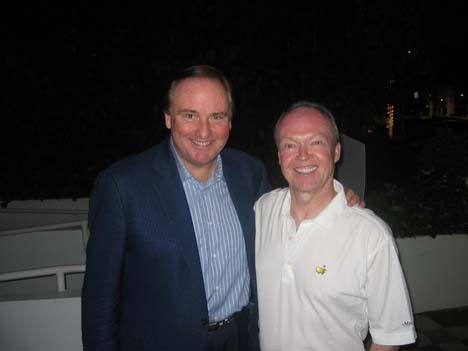 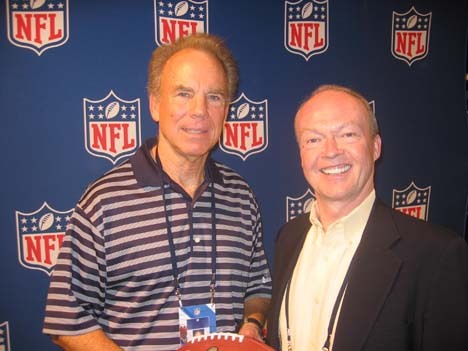 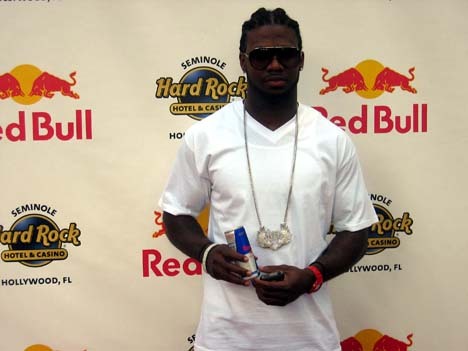 IIR Sports & Entertainment President John Ingoldsby attended Super Bowl XLIV in South Florida early in 2010, where he met, from top, Roger Staubach, Joe Theismann, and Tim Brando of CBS Sports.